Formed after the breakup of the local alt-rock band Toast, ex-bassist Shaun Courbat and ex-guitarist Frank Hansen partnered with veteran drummer Skip Lowe (Billy Lee Janey Band) to form The Blue Danes. Their name stems from an ironic blend of lead singer/songwriter Frank Hansen’s melancholy melodies with his red and blue-blooded Danish upbringing. Produced by GRAMMY® nominated producer Tom Tatman (Stone Sour), “Invisible and Untouchable” is a lyrical and composition masterpiece that will give you goose bumps. “One of the main draws of the band is the performance from lead singer and songwriter Frank Hansen. His hauntingly lyrical displays and melancholic melodies really come to the forefront, especially in tracks ‘Fade,’ ‘Hurricane’ and the lead single ‘Beautiful and Sad.’ In the latter you can really get a taste of Hansen’s quirky performance quality in the music video whist he parades before the camera menacingly sounding like the great John Grant,” explains Samuel Mensah, Daily News Service. “Invisible and Untouchable” can be downloaded on iTunes, Amazon and Spotify. "One of the main draws of the band is the performance from lead singer and songwriter Frank Hansen. His hauntingly lyrical displays and melancholic melodies really come to the forefront," says Samuel Mensah, Daily News Service. 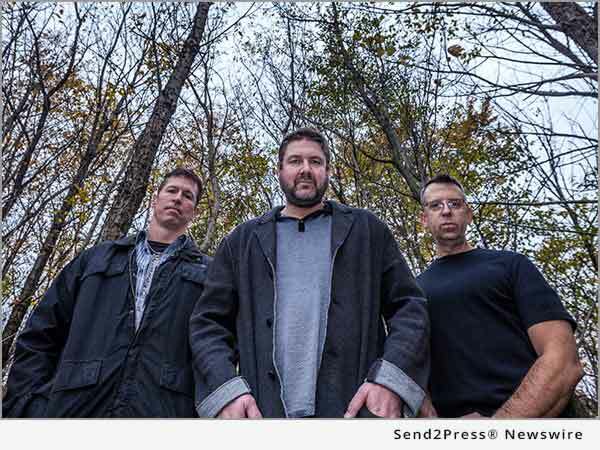 Formed after the breakup of the Alt-rock band Toast, ex-bassist Shaun Courbat and ex-guitarist Frank Hansen partnered with veteran drummer Skip Lowe to form the Iowa Based band The Blue Danes. The Danes combine element of Brit Pop, Americana, Indie-Rock, Alt-Rock, New Wave, Piano and String arrangements to create complex soundscapes of memorable melody and groove.